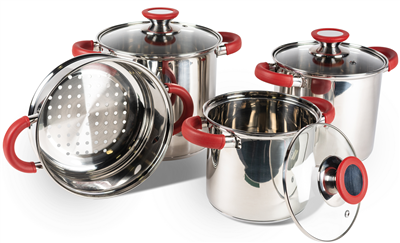 The Kampa Space Saver Deluxe Cook Set is made from high quality stainless steel. The three pans nest together for compact storage. It also includes a steamer/colander which fits the 18 x 17 cm saucepan. The pans have an encapsulated base for even heat distribution and enhanced cooking performance.